Well it’s only been 2 months since the boys birthday; I think I’m doing pretty good getting around to the craft posts. 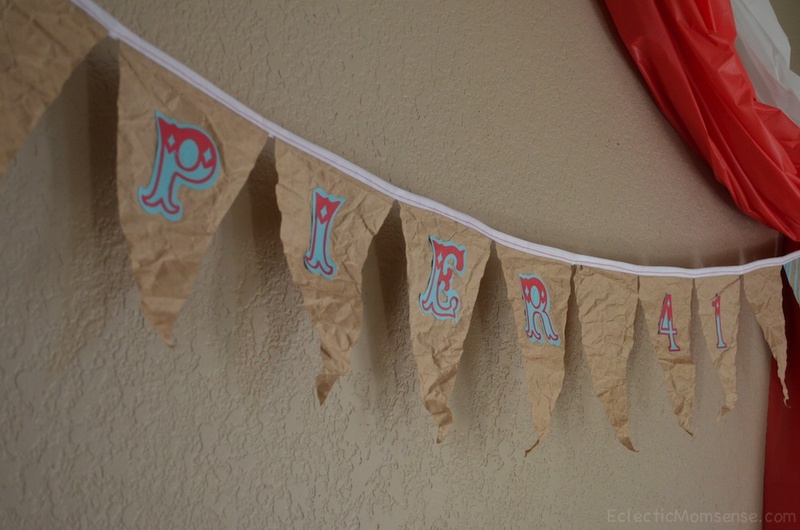 I still haven’t managed to post some of Aiden’s 2nd Mickey birthday decor. This is one of my favorite crafts to date. It was so simple and cost nearly pennies. 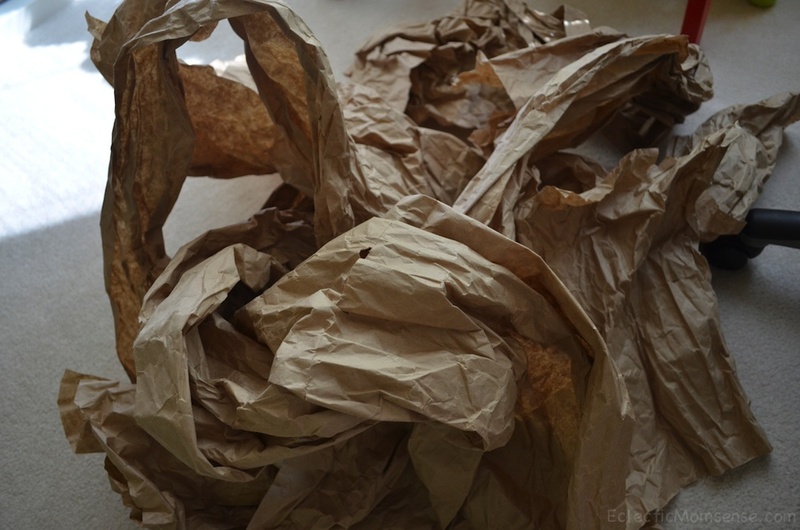 I started saving brown packing paper. Some packages crammed yards of it in one small package; it seemed like such a waste. So far we have used it for covering the table during crafts, wrapping the kids up in it, and even as product backdrop. 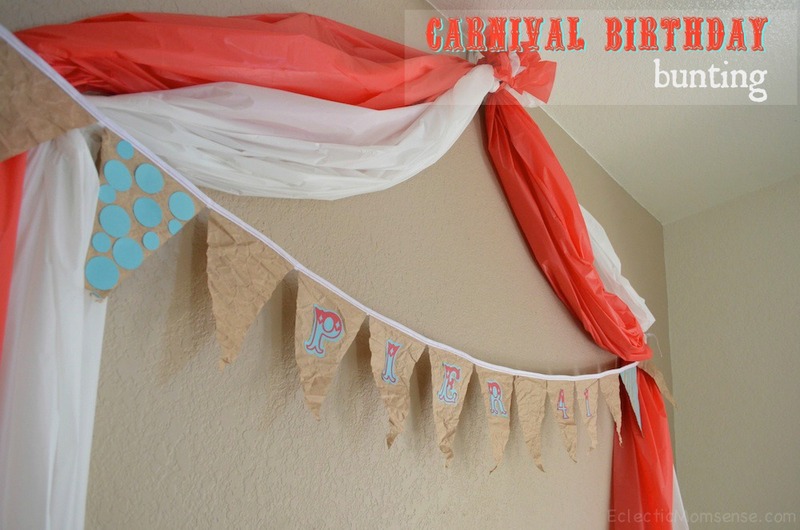 I loved how this upcylced bunting turned out. The natural wrinkles give it a fun vintage feel. 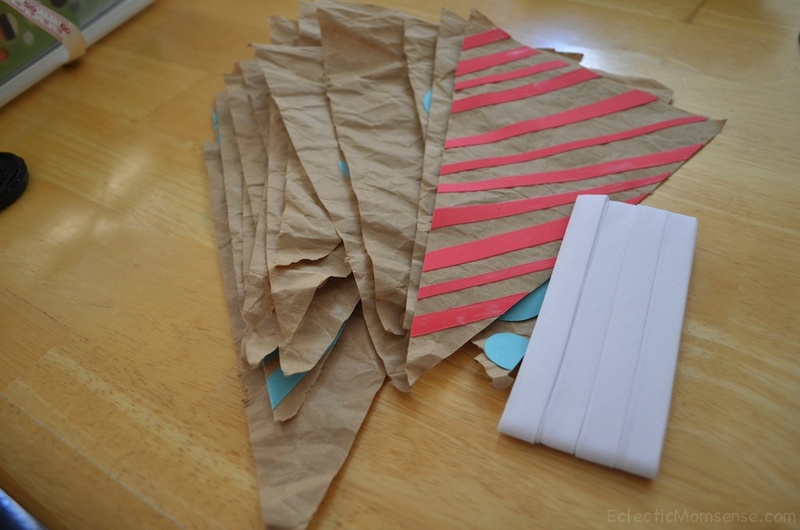 Start by cutting your brown paper and decorative elements using your cutting machine. Alternatively you can make a triangle pattern and use other embellishments and pre-cut letters. Once you’ve adhered your embellishments to the paper triangles you are ready to sew your bias tape on. 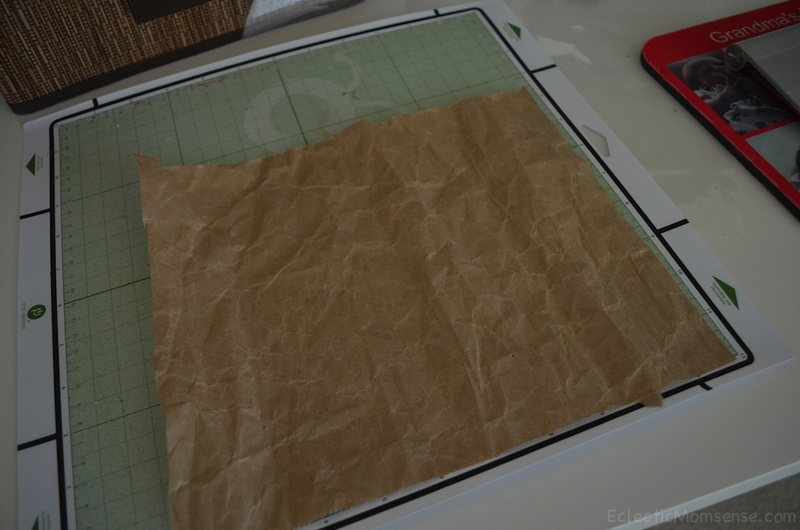 Checkout this post for tips for sewing on paper. Using a contrasting color so the thread stands out. Make sure to leave a tail on either side so you have a place to hang it. This was by far one of my favorite party decorations. So what’s with the Pier 41? The brain child of my husband. Since our boys birthdays are only 2 weeks apart we celebrated together. The pier fit in with the vintage boardwalk/carnival theme. The 41 reflect the boy’s 1st and 4th birthdays. Used my tutorial or idea for inspiration? 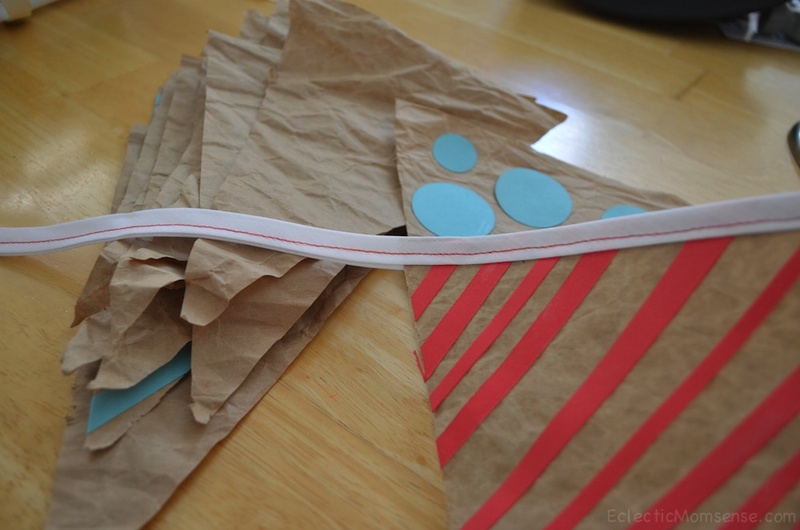 I’d love to see your take on this upcycled bunting in the comments.